One of my proudest moments as a speaker and a coach was this past weekend. I was at my sold out event in Johannesburg, South Africa, where we had over 1,700 people in a place which only fit 1,200. People were standing outside the doors and sitting on the floor. It’s an amazing feeling, the difference I have made not only in South Africa but all over the world. My business model has always been powered by your success. I heard about so many people’s lives I have changed, and it’s quite overwhelming. 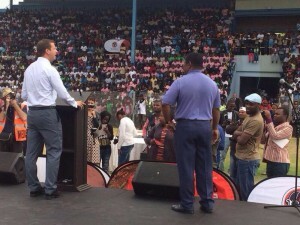 But nothing prepared me for the offer my friend and partner, billionaire Robert Gumede, made me, which was to come to his township and speak to 11,000 underprivileged kids. Because it was a near impossibility to be in two places at the same time, Mr. Gumede offered me the use of his plane so I was able to speak at the opening of my event, fly to Kabokweni Stadium outside Nelspruit in Mpumalanga, South Africa then fly back to Johannesburg to close my event. Along with 3 of my coaching students I brought along, we were the only white people in attendance, but that didn’t intimidate or scare me. Mandela talked about creating a rainbow nation, and my vision is to create a Rainbow entrepreneurial nation which is built around the future of South Africa, our youth. What better place to start than with 11,000 kids? I am sure that none of them heard what I said and were probably more interested in the parade of motorcycles, the dozen or so rides, and the free McDonald’s. The point is that the event brought them joy for the day and escape from their daily lives. This event introduced them to a world of possibilities. I also was introduced to many prominent members of the ANC, the main political party. As we talked, I told them this is not about white or black, it is about one nation, one vision, and one purpose. They seemed receptive to my vision and wanted to talk more. I love South Africa, I love its people, and out of the thousands of speeches I have made around the world, I will never forget this speech on that glorious day. The good part is that it won’t be my last. My new purpose and mission is to use my brand and my words to inspire our youth, our women, and would be entrepreneurs all over the world, no matter how much money they do or don’t have. Life for entrepreneurs is never measured by how much money we make, but rather how many lives we change. Many speakers come and go, but my philosophy in any country is to build from within, learn the culture, make as many people as possible successful quickly, implement fast, and get everyone to buy into the vision. You can’t help others unless you help yourself first. Dreams don’t come true, visions do. After success, focus on significance and legacy. Life isnot measured by how much money you make, but rather how much you’re able to make this planet a better place than it was when you first got here. Life is better suited when you have a purpose and you build your business alongside it. People often ask what I will do when I make my first billion … Give it all to charity and make another billion! Money has never driven me, except when I didn’t have any. This weekend, more than ever, I know why God put me on this earth. Remember, if you want to see me live in person go to www.jtfoxxlive.com, and for more of my charity endeavors please visit www.jtfoxxCares.org. Awesomeness! I hope they at least sang one song for you. If not I hope Robert can read this and please make a plan for your next one. Your soul, sure will know it’s in Africa when they do. #awesome I was at the event #JTfoxx mentions here #comebacktour, he being back in South Africa after three months was overwhelming to have him back. 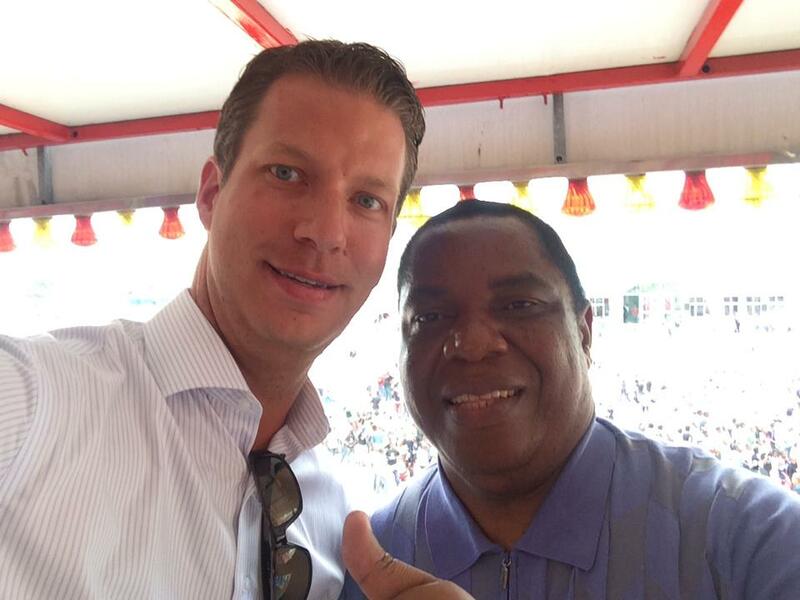 #JTfoxx is a man who is passionate about people and their success and is the real deal. I personally can attest to the change he has brought to me since my first event I attended in December 2013. I have learnt an invaluable amount of business skills and am implementing them, #Branding #Marketing #UPS #CSI #inspiration #implementation #growth #learn #experience #hsi #opportunity #grabit #makeithappen thank you #master for everything you doing for South Africa and the world.